Art of the Title's Ian Albinson has been asked to be part of the judging panel for the 58th Annual Type Directors Club Competition – Title Design section – and is honored to join Competition Chair Karin Fong (Imaginary Forces), Matt Lambert (Motionographer), and Shane Walter (onedotzero). Details of the competition below. 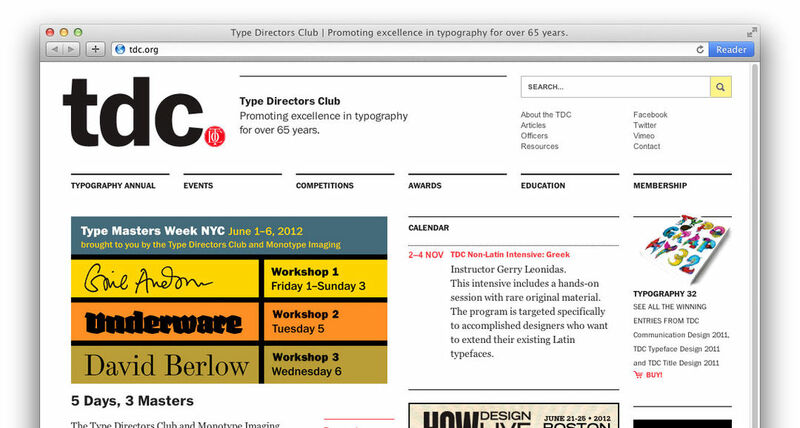 We are thrilled to announce our 58th Call for Entries for our annual typography competitions. This year’s competitions include Communication Design, Typeface Design and Title Design. Enter soon to take full advantage of our early bird discount. Winning entries will be published in our Annual, Typography 33 and be a part of our 7 global travelling exhibitions.